100 CropLife Ag Retailers on the List . . .
One of the major projects I work on each year is compiling the annual CropLife 100 listing of the nation’s top ag retailers. It’s always a great feeling when the list is finally done and I can share with our readers the information gathered in the course of this effort. 99 CropLife ag retailers on the list! In fact, since I started compiling the annual CropLife 100 list back in 2000, slightly less than half of the companies listed on that year’s CropLife 100 (46) have disappeared. Roughly, this comes out to three ag retailers per year. 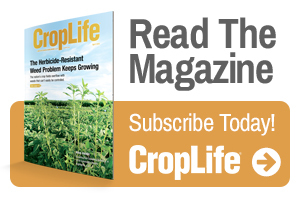 How many more CropLife 100 retailers will drop off the list for 2019? And it’s already happened to the 2018 CropLife 100 listing. 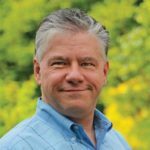 Just after our December 2018 issue was published, I heard from Northwest Ag Supply (No. 70) that it had been acquired by GROWMARK. Now, as of February 1, No. 39 Tremont Group and No. 58 Lyman Group (which were both owned by the same parent entity) have decided to formally combine their operations, adopting the new name Grow West. So the song continues . . .
98 CropLife ag retailers on the list!